C-2, RDC Rajnagar Ghaziabad - 201002, U.P. Mahaluxmi Buildtech Pvt Ltd, established a more than a decade ago has become a name associated with high standards of development in the real estate sector. The group has expanded into real estate, hospitality, education, FMCG and the steel industries. Mahaluxmi Buildtech has been into the development of premium residential and commercial projects in the NCR. The company follows the motto of “Building Nation” by transforming the face of realty as well as other sectors in the Indian market. Established in 1999, Mahaluxmi Buildtech has been providing state-of-the-art infrastructure and real estate solutions to its clientele. The group has been leading the real estate market through its strong commitment towards client satisfaction and high-quality material used in the construction of each project. Mahaluxmi Buildtech has become a name synonymous with high-standards and customer satisfaction. Mahaluxmi Buildtech follows the vision of meeting every client’s demand with integrity, honesty and fair business practices. The projects they deliver meet international standards and are offered to clients at competitive prices. The company has made it a mission to establish itself as a leader in real estate including development, construction and marketing of the project. 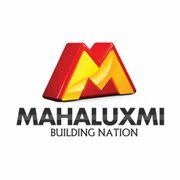 Mahaluxmi Buildtech is completely dedicated to providing the highest quality in every venture they take-up along with 100% satisfaction of all clients. Under the guidance of its CMD Mr. Sunil Miglani, the company has been able to reach new levels of success.